Have you ever heard someone talk about how well-behaved your child is and thought in disbelief, “Excuse me? 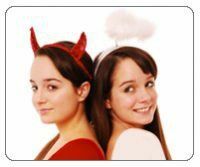 Are you talking about my kid?” While we usually enjoy hearing good things about our children, being told that your child is an angel by others can be confusing and frustrating when she’s out of control at home. It’s one thing if your child acts out in a variety of places or situations, but it’s a completely different thing when it feels like her anger is directed at you and only you, all the time. On top of that, it’s very easy to feel like there’s something wrong with you—and that you’re alone in all of this—when you’re walking on eggshells around her while everyone else is singing her praises. You might even start asking yourself if you’re crazy or wondering if your child hates you. When your child directs all her bad behavior at you it feels personal and it cuts deep, but the good news is that you have the power to change your situation. Keep reading to find out how. On the parent coaching line, we hear from parents whose kids save their bad behavior for home all the time. I think it’s important to first point out that kids don’t intentionally do this; it’s not like they get angry at school or at their friend’s house and think, “I can’t wait to get home so I can just explode and scream at my mom!” It doesn’t really happen like that; in most cases it’s not a conscious process and it’s not intended to hurt you. Children study their parents for a living, and if your child acts out at home but not in public, he’s figured out that he can overpower you with his tantrums or anger. It’s also important to realize that kids who are well-behaved in public do generally have a desire to please teachers and other adults and to be liked by them. The positive attention they get in public serves to reinforce this good behavior and is enough to motivate these kids to keep it together in situations that would normally make them come unglued if they were at home. Positive behaviors have been rewarded most frequently and consistently in public situations. You might be thinking, “I reward my child at home. I give him praise and recognition when he does well but it makes no difference.” If that’s the case, consider this: home is usually safe. It’s a place where kids typically feel secure showing their ugliest behavior to adults. They know that you’ll still love them and they’ll still get their needs met if they act out. While it’s good for kids to feel loved and secure, that sense of safety also makes tantrums at home more likely. Something else we tend to see happening in these kinds of cases is that acting out pays big at home. And it pays more than rewards or praise—it pays in power. As James Lehman says, “Children study their parents for a living,” and if your child acts out at home but not in public, she’s figured out that she can overpower you with her tantrums or anger. A different kind of conditioning has taken place, one in which negative behavior has been reinforced more consistently or strongly than positive behaviors. This is frustrating because you naturally begin to wonder, “Why does my child behave for her teacher but not for me? What am I doing wrong?” Here’s the truth: It’s not helpful to look at parenting in terms of wrong versus right. That implies that you are to blame, and blaming isn’t helpful. Instead it’s more helpful to look at the issue as a question of whether you are being effective or ineffective. And the good news is that if your child behaves well in public, you’re not doing as poorly as you might think. In fact, this tells me that you have some important tools in your toolkit that are already working. Children who behave well in school or other public settings clearly have the skills it takes to effectively manage frustration, listen to instruction from adults, deal with limits, and so on. You probably taught your child these skills either directly or indirectly; she’s simply choosing not to use these same skills when she’s at home. What might be lacking at home in these cases is what we call a “culture of accountability.” If you want your child to start behaving better at home it’s very important to start building a culture of accountability today. Your child needs to know that she is accountable to you and that her behavior will not be dismissed or tolerated any longer. Choose one thing to work on first. It’s very natural when you start making changes to feel like everything needs to change and that it has to start right now. But changing everything all at once can actually be very counterproductive. What I often recommend to parents on the parent coaching line is that they make a list of problem behaviors and rank the items on this list in order from most troublesome to least. Start with the one on top and work your way down the list. Set clear expectations. You can tell your child that things haven’t been going so well and you are going to start making some changes to help everyone in the home get along better. State your expectations around the behavior you have chosen to focus on. For example, you might say, “Jake, you get rude and verbally abusive when you don’t get your way. That’s not okay. There’s no excuse for abuse and it won’t be tolerated anymore.” Then you can let your child know that when it happens you are going to walk away and that there will be consequences later. One crucial rule for parents to follow here is offered by James Lehman in the Total Transformation program. James says, “What you say has to be what you mean, or what you say means nothing—it means whatever the person chooses to hear. And if you give these kids these mixed messages, they learn that what you say means nothing.” In other words, if you tell your child you are going to do something and then you don’t do it, nothing is going to change. When you tell your child what is going to happen from now on when he gets abusive, you must be prepared to follow through or else you will end up undermining your efforts—and your own authority. Focus on skill-building and coaching. While we already know that your child does have some sound problem-solving skills that help her to behave well outside the home, we have to consider that what works in one setting might not work in another. You can sit down with your child and ask her whether she ever gets angry or upset at school or at her friends’ houses. Let your child know she does a really good job of handling it when she’s away from home and ask her what she does to manage herself so well. You can encourage her to do this when she gets upset at home or talk about some other options that might work, like listening to music, going for a run or journaling. Don’t participate in the outburst. Your child has relied on his acting out behavior to get by and when you change, it’s going to take him a while to follow in your footsteps. He will continue to act out for a period of time, but you don’t have to participate or be a part of that. When your child starts to escalate, walk away. Go to another part of the home where you can have some space and do something to take your attention off him and his inappropriate behavior. Attention reinforces the behavior and keeps it going, so the less you engage—and the sooner you make the decision not to get sucked in—the better. Use effective consequences. It’s going to be very helpful to focus on consequences that help your child practice a new skill. Physical discipline or punitive punishments like having children write out, “I will listen to my mother” 100 times accomplish very little in the long run. If your child calls his sister a name, for example, you might restrict one privilege until he goes 2 hours without being rude to her or anyone in the family. For physical abuse or destruction of property you might put a privilege on hold until your child writes down a plan for what he’ll do differently next time and makes amends. An appropriate amends is dependent on the situation, but it could include replacing an object he broke when he was angry or cleaning up a mess he made. Understand that when consequences become too long they become ineffective. And, as James Lehman states, we don’t want to simply teach kids to “do time” or live without a favorite object indefinitely. This becomes counterproductive in the long run because that object loses value, and if your child doesn’t value it, it’s no longer an effective consequence. Will My Child Ever Behave as Well at Home as He Does in Public? The long and short of it is this: your child most likely acts out at home because it gives him a sense of power, because he’s been able to get away with it, or both. Establishing a culture of accountability is the solution. As James Lehman said, “I think the most important thing for every family is to have a Culture of Accountability in your home. This means your child is accountable to you for how he talks to you, how he talks to his siblings, how he treats his family members.” Establishing a culture of accountability in your home, while not an easy or necessarily quick process, is a sure way to reconcile your child’s angelic public persona and that “dark side” you see from him at home.